Note: This week's celebration of sloth is a slightly less straightforward (read: completely different) version of a story that PCW ran on the Madden Curse (and legacy) earlier this week. Also, I apologize in advance for anything that may happen to&#160;Brett Favre. But I'm getting ahead of myself. A legend begins: the first Madden Football from Electronic Arts. 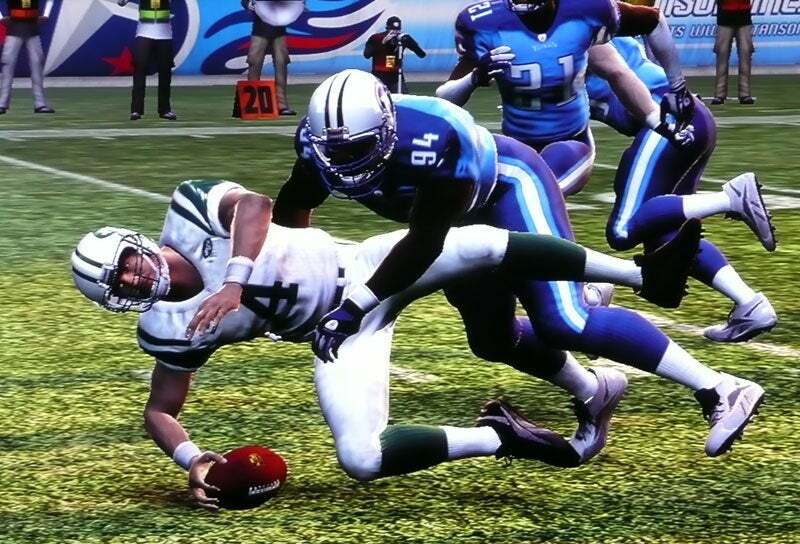 Of course, Madden NFL Football is a huge game. 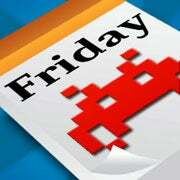 It's EA's golden goose--no, wait, it's more than that. 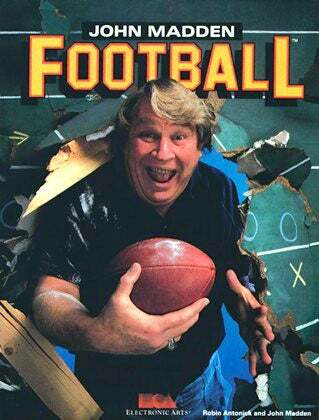 A little over 20 years ago, John Madden was just a man. A former pro footballer and coach turned color commentator. Then, in 1988, Electronic Arts put him on the cover of its new Apple II football game, and--wham!--just like that,&#160;he became a&#160;legend. The drink of champions: a Madden Big Gulp. For the latest edition of the game, big chain stores opened at midnight&#160;to accommodate anxious armchair quarterbacks. A&#160;huge 20th-anniversary jam kicked off the launch at the Rose Bowl in Pasadena. 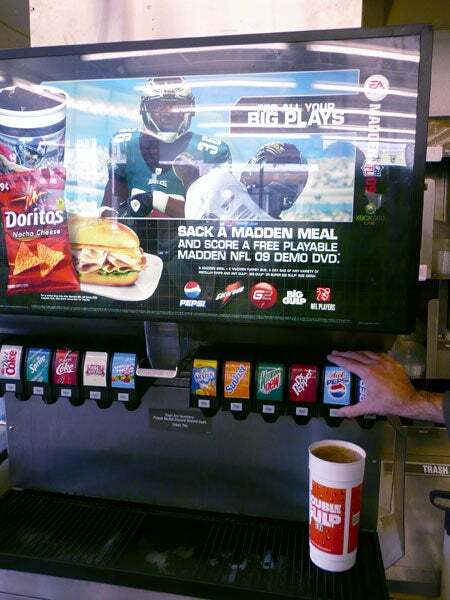 Heck, 7-Eleven offers "Madden Meals" for when you work up a sweat on the virtual gridiron,&#160;and you get a&#160;Madden-approved Big Gulp thrown in. Is Favre in store for some pain? Only one way to find out. 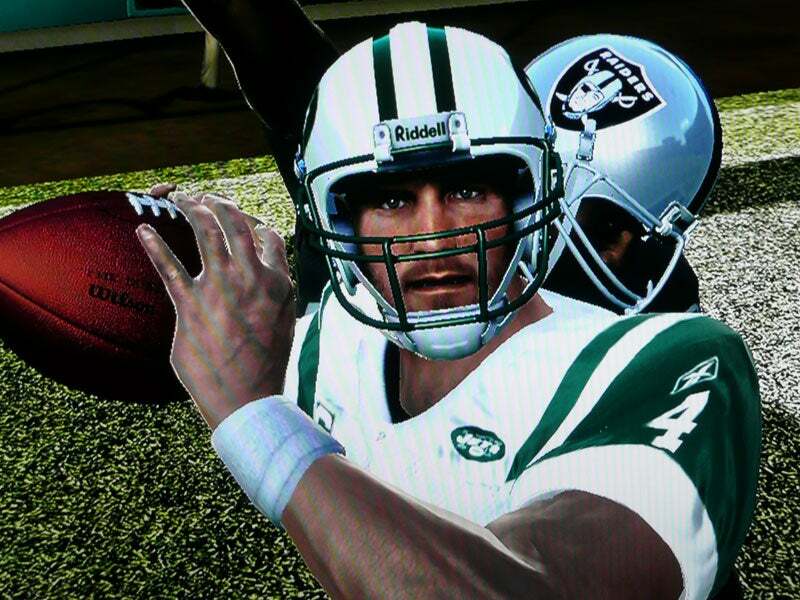 Of course, with all this success comes the Madden Curse--the NFL's monkey paw. The tale goes something like this: Since 1999, athletes featured on the cover of the game have taken some lumps--some suffered career-threatening injuries, and one guy flat-out retired. But bad juju? C'mon, football is a rough sport. Getting beat up and sidelined comes with the job. Let's break down the past&#160;ten years' worth of cover stars and see who stiff-armed this "curse." 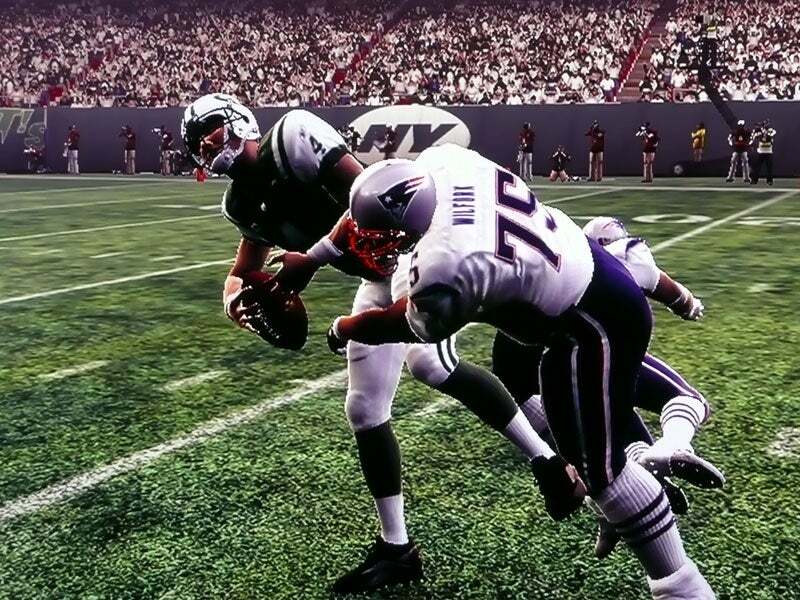 Favre, taking a couple early hits from the Pats. A safety?!?! Another bad day for Favre. 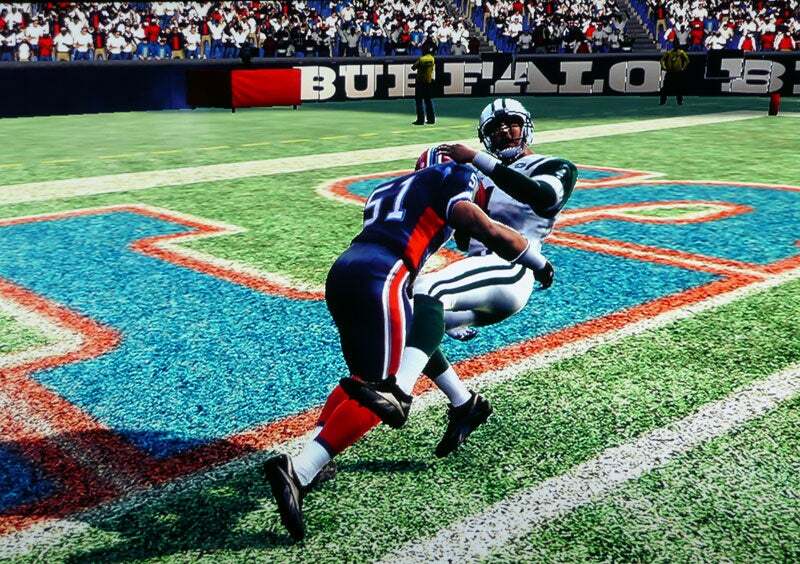 Yep, if you haven't caught on by now, there's a reason for all of these sack screen shots. Keep reading. 2008--Vince Young: The Titan quarterback is the only true survivor so far. Maybe he covered himself in bubble wrap between games. He not only made it through a whole season intact (except for one game where he injured his quadriceps during the first half), but he also actually improved. In the 2007-2008 season, he led his squad to the playoffs, beating back the Colts. Verdict: Curse Lifted!?!?! 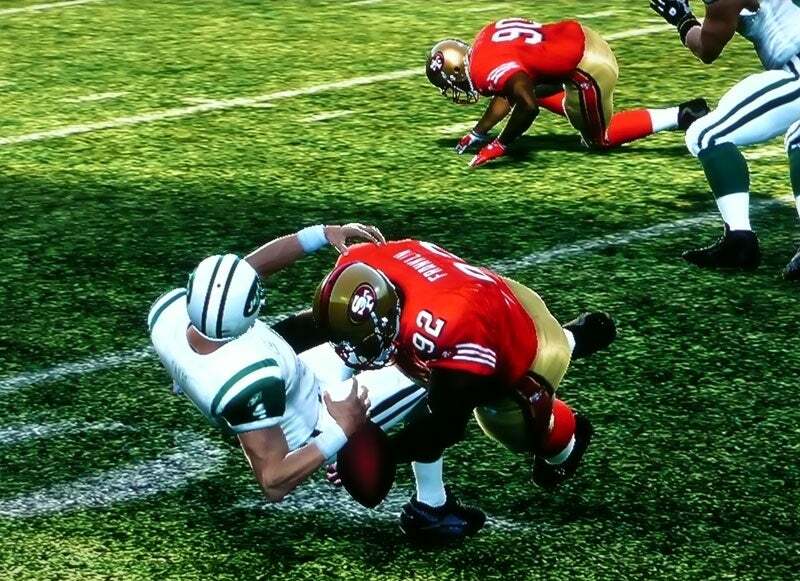 Even the 49ers are getting a piece of Favre! Despite my sabotage, the Jets still won a couple of games. 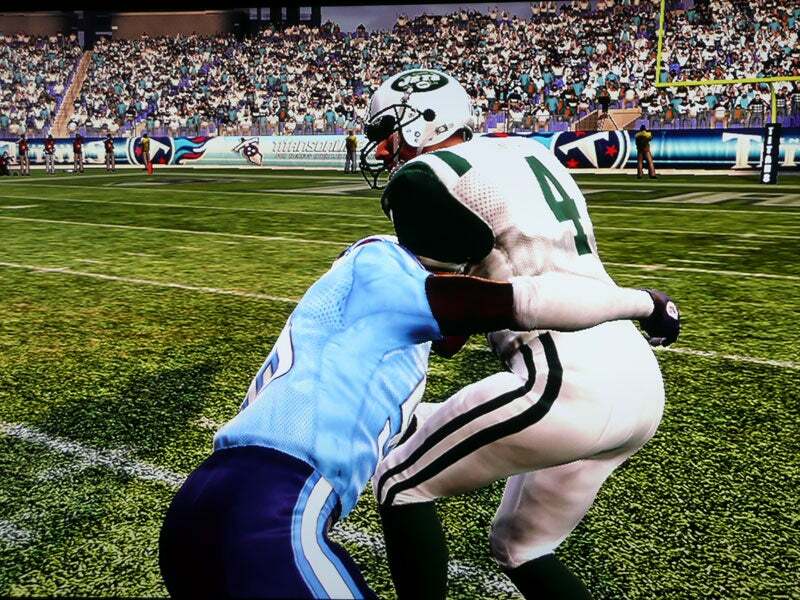 By the time the sim season was done, the Jets had fought their way&#160;to a 9-7 record. I tell you, it's hard to stop that Favre guy. And, since you asked, the Packers made the playoffs with a 10-6&#160;record. 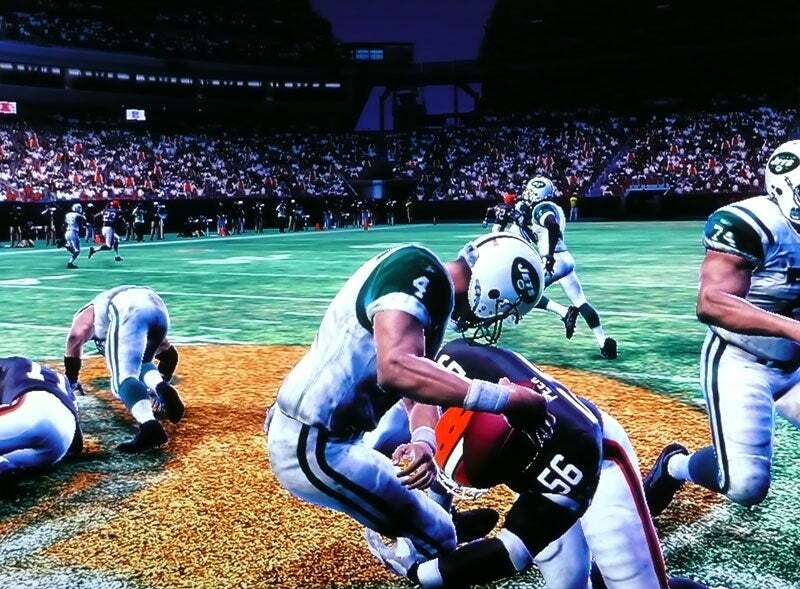 Still, I wonder if my digital Favre is&#160;asking himself&#160;why he came out of retirement.